As MongoDB® has changed their license from AGPL to SSPL many are concerned by this change, and by how sudden it has been. Will SSPL be protective enough for MongoDB, or will the next change be to go to an altogether proprietary license? According to our poll, many are going to explore MongoDB alternatives. This blog post provides a brief outline of technologies to consider. Citus While PostgreSQL is a powerful database, and you can store terabytes of data on a single cluster, at a larger scale you will need sharding. If so, consider the Citus PostgreSQL extension, or the DBaaS offering from the same guys. TimescaleDB If on the other hand you are storing time series data in MongoDB, then TimescaleDB might be a good fit. ToroDB If you would love to use PostgreSQL but need MongoDB wire protocol compatibility, take a look at ToroDB. While it can’t serve as a full drop-in replacement for MongoDB server just yet, the developer told me that with some work it is possible. CockroachDB While not based on the PostgreSQL codebase, CockroachDB is PostgreSQL wire protocol compatible and it is natively distributed, so you will not need to do manual sharding. MySQL DocStore is a CRUD interface for JSON data stored in MySQL, and while it is not the same as MongoDB’s query language, it is much easier to transition to compared to SQL. Vitess Would you love to use MySQL but can’t stand manual sharding? Vitess is a powerful sharding engine for MySQL which will allow you to grow to great scale while using proven MySQL as a backend. TiDB is another take on MySQL compatible sharding. This NewSQL engine is MySQL wire protocol compatible but underneath is a distributed database designed from the ground up. CouchDB is a document database which speaks JSON natively. CouchBase is another database engine to consider. While being a document based database, CouchBase offers the N1QL language which has SQL look and feel. ArangoDB is multi-model database, which can be used as document store. 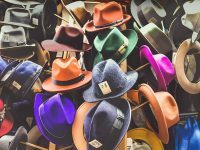 Elastic While not a perfect choice for every MongoDB workload, for workloads where document data is searched and analyzed ElasticSearch can be a great alternative. Redis is another contender for some MongoDB workloads. Often used as a cache in front of MongoDB, it can also be used as a JSON store through extensions. While such extensions from RedisLabs are no longer open source, GoodForm projects provides open source alternatives. ClickHouse may be a great contender for moving analytical workloads from MongoDB. Much faster, and with JSON support and Nested Data Structures, it can be great choice for storing and analyzing document data. Cassandra does not have a document data model, but it has proven to be extremely successful for building scalable distributed clusters. If this is your main use case for MongoDB, then you should consider Cassandra. ScyllaDB is a protocol compatible Cassandra alternative which claims to offer much higher per node performance. HBase is another option worth considering, especially if you already have a Hadoop/HDFS infrastructure. Most major cloud providers offer some variant of a native document database for you to consider. Microsoft Azure Cosmos DB is an interesting engine that provides multiple NoSQL APIs, including for MongoDB and Cassandra. Amazon DynamoDB supports key value and document based APIs. While not offering MongoDB compatibility, DynamoDB has been around for a long time, and is the most battle tested of the public cloud database offerings. Google Cloud DataStore – Google Cloud offers a number of data storage options for you to consider, and Cloud DataStore offers a data model and query language that is the most similar to MongoDB. If you’re not ready for a major migration effort, there is one more solution for you – Percona Server for MongoDB. Based on MongoDB Community, and enhanced by Percona with Enterprise Features, Percona Server for MongoDB offers 100% compatibility. As we wrote in a previous post, we commit to shipping a supported AGPL version until the situation around SSPL is clearly resolved. Want help on deciding what is the best option for you, or with migration heavy lifting? Percona Professional Services can help! Have idea for another feasible MongoDB alternative? Please comment, and I will consider adding it to the list! As you may have heard, MongoDB recently changed the license for MongoDB Community version from AGPL to SSPL. In order to better serve our users and customers, we’d like to ask about your plans. If you would like to expand on your response, or otherwise talk to me about your thoughts on the MongoDB license change, I’d be pleased to hear from you. You’re welcome to email me. MongoDB, Inc. announced it has elected to change its license for MongoDB Community Server from AGPLv3 to a new license type they have created called a “Server Side Public License (SSPL)” citing the need to have a license better suited for the age of Software-as-a-Service. First, it is important to state that MongoDB, Inc. is fully within its rights as a software copyright holder to change the license of MongoDB Community Server to a license which better reflects its business interests. In our opinion, however, announcing the license and making the change effective immediately is not respectful to users of MongoDB Community Server. For many organizations, while AGPL may be an approved software license, the SSPL is not, and their respective internal review processes may take weeks. During this time users can’t get access, even to patch versions of old major releases, which might be required to ensure security in their environment, among other potential issues. 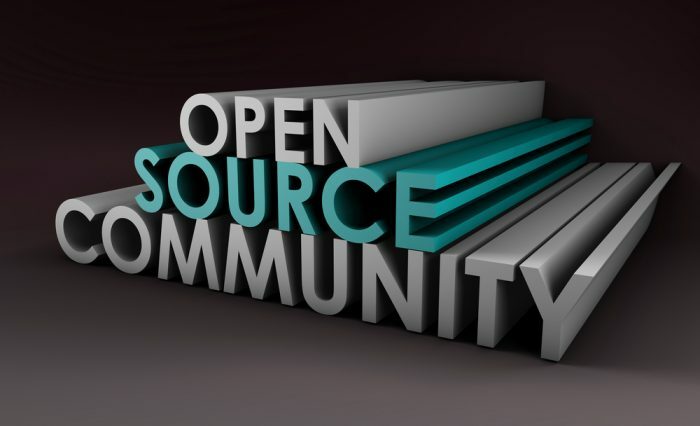 This issue is compounded by the fact that the SSPL has only recently been submitted to be evaluated by the Open Source Software Initiative, and it is not yet clear if it will be considered an Open Source License. We believe it would have been much better for the MongoDB Community and the Open Source Community at large if MongoDB, Inc. would have chosen to release SSPL, and announce the move to this license at some future effective date, allowing for a more orderly transition. This is a developing situation, and I’m sure over the next few days and weeks we will both hear from OSI with their decision, as well as have further clarification on many points of the SSPL in the FAQ, and possibly the license itself. At Percona we’re watching this situation closely and will provide additional updates regarding potential impacts to our community and customers. Percona will continue to support the latest AGPL versions of MongoDB Community Server and Percona Server for MongoDB until more clarity in regards to SSPL is available, giving companies time to complete their assessment of whether moving to the SSPL software version is feasible for them. Being based on MongoDB Community Server, we anticipate that our Percona Server for MongoDB will change its license to SSPL when we move to the SSPL codebase released by MongoDB, Inc.
We believe this change does not impact other Percona software which interfaces with MongoDB, such as Percona Toolkit and Percona Monitoring and Management. At this point, we do not anticipate a license change for this software. This license change does not impact Percona support customers, who will receive the same level of comprehensive, responsive, and cost-effective support as before. We encourage customers to evaluate the impact of this license change for their own software. 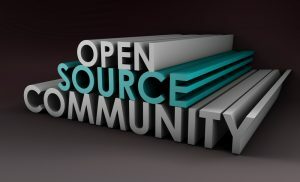 There has been a lot of talk around licenses in open source software, and it has hit the database world in the past weeks. Redis Labs relicensed some AGPL software to the Commons Clause (in their case, Apache + Commons Clause; so you can’t really call it Apache any longer). I’ll have more to say on this topic soon, but in the meantime you might enjoy reading Open-source licensing war: Commons Clause. This was the most balanced article I read about this move and the kerfuffle it has caused. We also saw this with Lerna (not database related), and here’s another good read: Open Source Devs Reverse Decision to Block ICE Contractors From Using Software. Reviewing is under way for Percona Live Europe 2018 talks: the review of the tutorials is complete. We can expect to see a schedule by mid-September, so hang in there—I’ve received a lot of messages asking if talks are going to be approved or not. While not a new release, MySQL Shell 8.0.12 is worth spending some time with, especially since you might enjoy the pluggable password store. Real world SSD wearout – featuring Redis and PostgreSQL. MySQL Connector/Python on iOS Using Pythonista 3 – as someone who enjoys using the iPad Pro with Smart Keyboard, this was a most interesting article! Balazs Pocze is now a database SRE at Wikimedia Foundation. He has spoken at several Percona Live events too! The post This Week in Data With Colin Charles 51: Debates Emerging on the Relicensing of OSS appeared first on Percona Database Performance Blog.